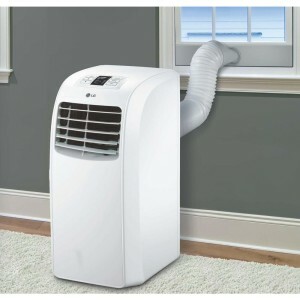 Best air conditioner for small rooms • The Air Geeks, reviews of air conditioners, dehumidifiers and air purifiers. 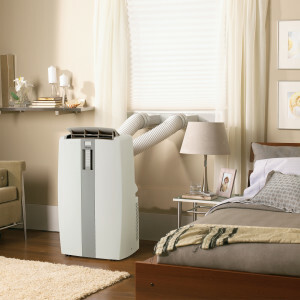 What is a portable air conditioner for small rooms? What is BTU and how does it affect the performance of a portable air conditioner for small rooms? Is a portable air conditioner capable of cooling multiple rooms? Where should I place my portable air conditioner for small rooms? 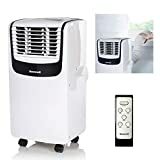 Is it normal for a portable air conditioner for small rooms to produce sound? After how long should I drain the water from my portable air cooling unit? What is the main difference between single-hose and dual-hose portable air conditioning units? 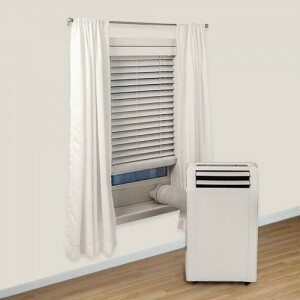 What happens if the portable air conditioner for small rooms is too small for my room? What will happen if I acquire a portable air conditioner that is too large for my room? What are the main differences between electronic and manual controls? We browsed through the smallest air conditioner to larger air conditioners to give you our verdict on what we think the best small portable air conditioner is. Are you ready? Let’s go! What makes the best small room air conditioner? Silence. Small spaces (let us say, 200 sq. ft. or less) require a very discreet way of functioning, because by definition, they will be closer to the people that use them. But also because these people might have the need to focus much better : air is cooled down in offices, living rooms, and… bedrooms! Zzzzzz…. Ease-of-use and fast efficiency. Because bunkering in a small room on a summer can be a decision taken in a flash, and only be very temporary (to read a book, or for a nap), small air conditioners and room air conditioners need to be quick to cool down the place. This entails super intuitive on/off commands, and of course, power and efficiency. Lastly, the best room air conditioner has to be portable. Indeed, moving it with you from room to room is a must, so it has to be small and compact enough to be portable. Handles and wheels are, of course, a must. A portable air conditioner refers to a self-contained mobile unit that is suitable for cooling a single room. This unit typically sits on the floor and it is usually easy to install it. Most models have wheels which make it easy to move them from one position to another. British thermal unit; abbreviated as BTU, is a measure of the quantity of heat that an air conditioner can successfully remove from a space in one hour. 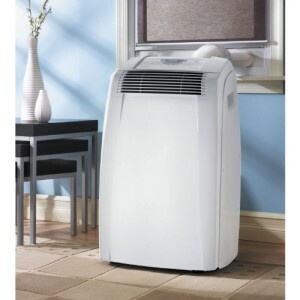 A portable air conditioner with a high BTU is capable of cooling a bigger space as compared to a unit with a low BTU. Although most houses have standard 8-foot ceilings, some are designed differently. Ceiling height is a primary consideration when selecting an air conditioning unit. You can select a portable air conditioner for small rooms with a BTU rating of between 7,500 and 10,000 depending on the dimensions of your space and your cooling needs. As compared to central air cooling systems, portable air conditioners are designed to cool smaller spaces. It is very hard for these units to cool multiple rooms or different sections of a house. You can, however, move the portable unit from one room to another; for example, from your workstation to your bedroom. In some cases, if there is an opening between two adjacent rooms, then the cooling effect can be felt in the second room. You should position the mobile unit in a location that allows complete air circulation. You should not put the unit at the corner or near the wall as this interferes with the air flow. Avoid covering the unit as this reduces its efficiency. Yes. Portable air conditioners produce sound during operation. The loudness varies from one model to another. Most of the newer models in the market produce lower noise levels as compared to their predecessors. Some manufacturers offer models that have a night or quiet mode. Units that offer this mode are suitable for cooling study rooms, bedrooms and other spaces that demand quietness. Since noise tolerance varies from one person to another, it is necessary to test a unit before purchasing it for your cooling needs. Remove manually. The standard portable air cooling units come with buckets for collecting the captured water. The time it takes a unit to fill a reservoir mainly depends on the relative humidity of air in your house and the capacity of the bucket. If the relative humidity is high, then you will be emptying the bucket more times. Use a drain hose. The gravity drain is only applicable to select models. You are just required to attach the pipe to the drain port and then direct the water to another location. Some cooling units have a pump for pumping the captured water to an external sink. Automatic removal. Some high-end models have the ability to automatically evaporate the excess moisture through the exhaust hose together with the warm air. Such models are suitable for people who are looking for units that can run for many days without demanding the attention of the user. A single-hose design comes with one exhaust hose that takes air from the room, cools it, and expels the cold air through the same hose. This air cooling process of this portable air conditioner for small rooms creates a negative pressure within the chamber as the volume of air removed from the room is very low. The negative pressure affects the unit’s ability to cool the chamber especially if it is drawing warm air from adjacent spaces. A dual-hose cooling system comes with two hoses; one for taking in the air and the second for expelling the exhaust air. Unlike the single-hose design, the dual-hose system does not create negative pressure in the space where it is installed. The dual-hose unit, however, experiences slight inefficiencies because they use unconditioned air to cool its compressors. Moreover, the double-hose system uses two internal fans which can lead to higher energy consumption as compared to a single-hose design. If you acquire an undersized air conditioner, the unit will overwork so as to attain the desirable temperature within the house. As a result, the cooling coils will get too cold which leads to ice off effect. The condensed moisture will freeze instead of draining off which in turn restricts the amount of air that flows through the coils. When the unit is bigger than the recommended size for a particular space, the target temperature is achieved faster than expected. The room’s occupants feel cold drafts. The room also records much airflow and excess cooling effect. The manual controls come with a nob which enables you to set temperatures to high, medium or low. On the other hand, electronic controls have a digital display and a touchpad which you can use to set the preferred temperature. The electronic controls allow you to use a remote control to select the preferred temperature without necessarily moving from your workstation. Some models come with a combination of both controls while others have a single set.